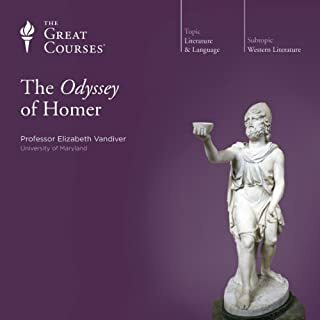 What is it in Homer's Odyssey that has so enthralled readers from around the world for thousands of years? 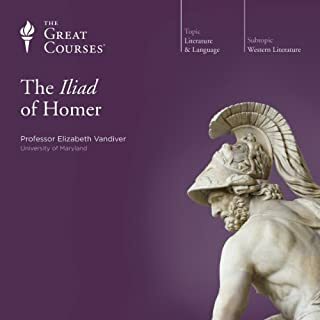 By joining Professor Vandiver for these 12 lectures on the Odyssey, you'll find out why.This literary exploration centers on a single provocative question about the epic poem's protagonist, Odysseus: Why does he long so powerfully to go home? To probe the depths of this question, you'll embark on meticulous, insightful examinations of the most important episodes in the Odyssey. Odysseus. Robinson Crusoe. Harry Potter. What do these memorable characters have in common? Why do we turn to certain stories again and again? And what impact have they made on world history? 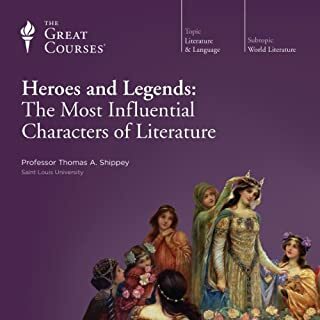 These 24 eye-opening lectures give fresh insight into some of the greatest heroes in world literature, from warriors such as Beowulf and Odysseus to unexpected heroes such as Uncle Tom and Sancho Panza. Professor Shippey gives you an inside glimpse into the writer's process. Western civilization is closely associated with reason and science, and with exceptional accomplishments in art, architecture, music, and literature.Yet it has also been characterized by widespread belief in the supernatural and the irrational - with mystics who have visions of the divine and entire movements of people who wait in fervent anticipation of the apocalypse. 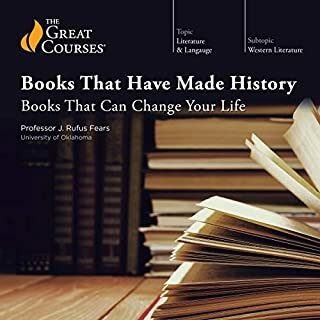 Change the way you think about some of the greatest stories ever told with this examination of the most important myths from more than 3,000 years of history. The ways in which the human imagination can transform historical events, people, and themes into powerful myths that endure through the ages is nothing short of awe-inspiring. Entertaining and insightful, but not without bias. 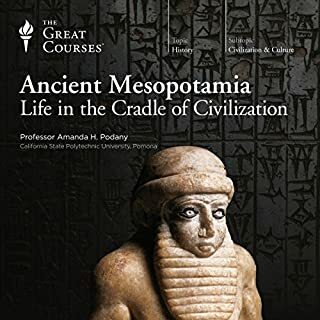 These 24 dramatic lectures examine key events from ancient Egypt, Greece, and Rome to medieval Europe and Asia. 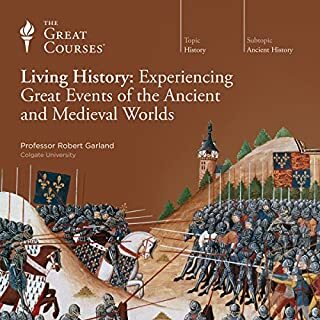 Spanning thousands of years and three continents, this course illuminates fascinating historical dramas on the individual scale. Greek tragedy was a dramatic form that flourished for less than a full century. And yet it remains vibrant, alive, and productive today. And the form's masterpieces help us-as perhaps they helped their original audiences-grasp a fuller sense of the terror and wonder of life. 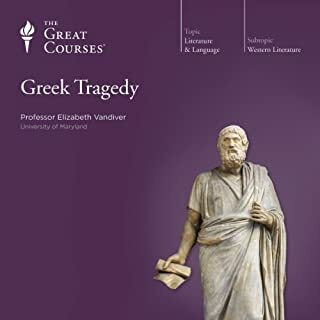 Professor Vandiver has designed these 24 rich and rewarding lectures to give you a full overview of Greek tragedy, both in its original setting and as a lasting contribution to the artistic exploration of the human condition. The Aeneid is the great national epic of ancient Rome, and one of the most important works of literature ever written. 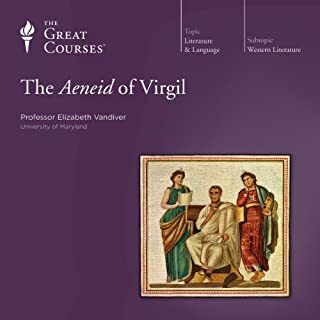 And with Professor Vandiver's 12 instructive lectures, you'll enter fully into the gripping tale that Virgil tells. Join Aeneas on his long journey west from ruined Troy to the founding of a new nation in Italy, and see how he weaves a rich network of compelling human themes. Your encounter with the Aeneid focuses on careful, detailed examinations of the epic's background, main themes, and significant episodes. Myths provide the keys to truly grasping the ways that principles, rituals, codes, and taboos are woven into the fabric of a particular society or civilization. It's through myths that we can answer these and other fundamental questions: How was the universe created, and why? What is the purpose of evil? Why is society organized the way it is? How did natural features like rivers, mountains, and oceans emerge? 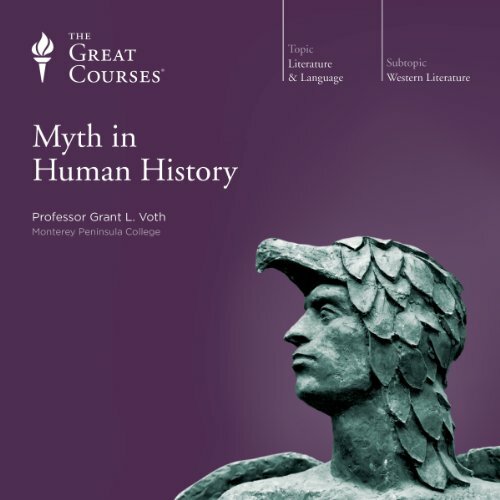 This entertaining and illuminating course plunges you into the world's greatest myths. 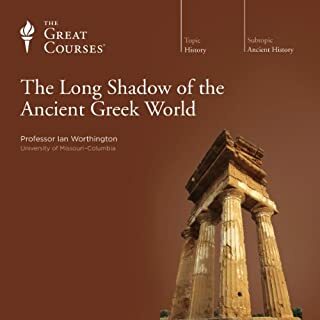 Taking you from ancient Greece and Japan to North America and Africa to New Zealand and Great Britain, these 36 lectures reveal mythology's profound importance in shaping nearly every aspect of culture. You'll also discover the hidden connections between them - a comparative approach that emphasizes the universality of myths across cultures. Along with the stories themselves, you'll encounter fascinating characters, including Herakles, the ancient Greek hero whose life illustrates the idea that all heroic stories have a similar structure; Loki, the shape-shifting trickster who introduces the concept of time into the Norse realm of Asgard; and King Arthur, the Celtic lord and founder of the Knights of the Round Table. Myths, according to Professor Voth, are "gifts from the ancestors to be cherished." His enchanting lectures are the perfect way for you to celebrate these cherished gifts, inviting you to develop your own interpretations of these age-old tales, as well as to ponder the role that myths - both ancient and everyday - play in your own life. Because it covers so much ground, it moves as a very brisk speed, and in some cases I would have preferred to get more depth (for example, more detail on some of the hero myths, and more discussion of the psychological interpretation of myth, a la Rank, Jung and Campbell). Dr. Voth did a really good job of covering the material, but there's enough here for two or even three lecture series. Second, I found my interest waning slightly in during the latter part of the course. This may have been because (while he never says so) Prof. Voth seems to be suggesting a kind of monomyth for trickster myths (similar to the monomyth of the hero). While I thought the argument and evidence presented for the hero monomyth was compelling, it seemed that the trickster myths were much more diverse (hard to see an parallel between the Norse Loki and the African Anansi as presented here, for example). Still, the course material was very engaging, and I will definitely be broadening my study of mythology as a result. I was initially looking for a place to start my research into Greek and Roman myth, and this series turned out to be the perfect place. It introduced me to so much more than I set out to discover. It not only touched on individual myths from across the globe, but it also explored the many types/categories of myths and the reasons for their existence. 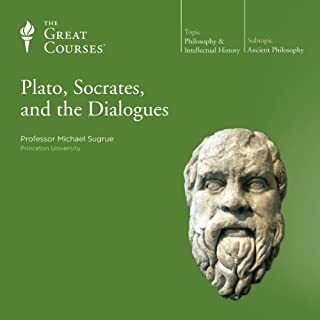 I feel that if I had focused on Greek and Roman mythology without first listening to this series, I would have missed out on so much foundational knowledge. Having a stronger understanding of mythology now will enhance my exploration of ancient cultures and their myths in the future. 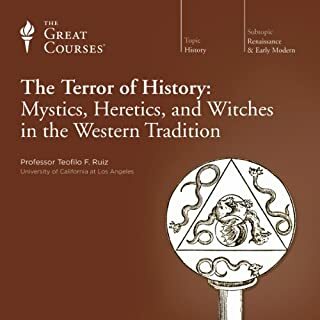 I love that I walked away from this lecture series with a greater sense that myths from across the globe and throughout time are both unique/dynamic as well as universal and fundamentally connected. The details of myths may change, but the reason for their existence in human culture is not so different. What about Professor Grant L. Voth’s performance did you like? Professor Voth was very energetic and enthusiastic about the subject matter, and this was certainly contagious. I would have enjoyed this subject matter either way, but his delivery made it so much more enjoyable and kept my interest the entire time. He also gave great suggestions on further research, which I've already pursued. I was actually very sad when this series ended because the new series I've started is taught by a different professor. This series has been my commute companion for quite some time, and Professor Voth made the ride something I really looked forward to each day!!! This is an eclectically organized analysis of myths from around the world, focusing on patterns which come up in all myths, regardless of location. Voth speaks about creation myths, tricksters, heroes and heroines, destruction myths, and how we can look at all these patterns to see some basic truths about ourselves as humans. I learned a great deal from this series of lectures, though it left me feeling a bit frustrated. Voth, by focusing on the analytical side and on the patterns of myth, did not have time to tell the myths in their entirety. As such, I am ready to devour books upon books telling the actual stories that he merely touched upon. 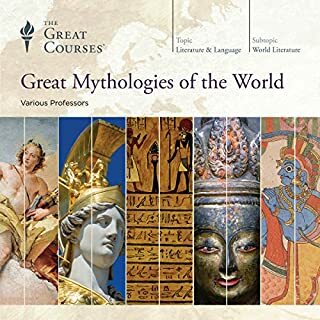 I definitely do recommend this course for anyone who knows little of world mythology and is curious to learn more, or wants some direction to go for their research. Where does Myth in Human History rank among all the audiobooks you’ve listened to so far? This is a very worthwhile course. It contains really good analysis of how myths tell us a lot about the culture, principles, and views held by civilizations, what is most important to them at a particular time, and how that evolves over time (such as people’s conception of “god”). Tales of tricksters were some of the highlights of the course. These tales were not only humorous but also were good topics for psychological analysis (they allowed for people to either question or poke fun of their society’s social norms/rules without ostracism). 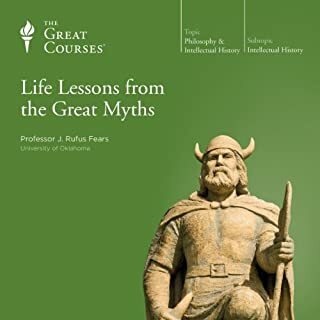 A great number of myths were covered in the course even though I hoped for a little more time spent on classic fairy tales and the purposes or lessons behind them. 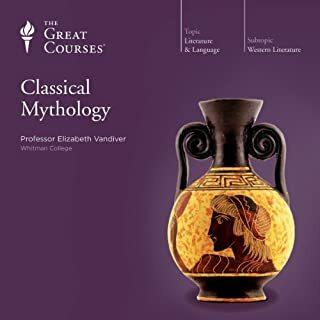 If you have any interest whatsoever in ancient myths and what they say about a civilization, I highly recommend this course. I am not sure anyone else could've handled the topic better. At times rough (fast) ride, have a notebook ready! 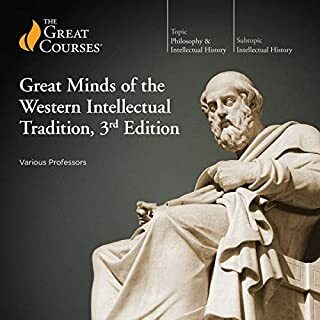 What I really liked about this course was the "open mind" the professor shows for variations on themes (even if I agree on the critic that he puts too much emphasis on monomyths, that one does not necessarily have to consider existent the first place). The course gave me many new ideas about where to look for "new ideas on old topics", made me research cultures that I haven't had that much contact with yet and, yes, makes me want to read/hear more. I am looking forward to reading a lot more about Vietnam's myths. There seem to be a lot of really interesting twists on stories I am so used to. True, I am not sure if Mr. Voth actually READ all the material he summarizes. 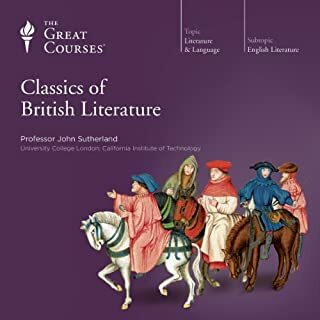 Since he does not give any sources (a fauxpas many of these lecturers make, maybe there's an addendum in the handouts, but I do not have access to those - Audible, do you read? ), I must give him the credit of a doubt, but at least for some of the Northern myths (which I have studied myself for some time) he SEEMS to mix some things up or at least isn't 100% up to par with how some of those are (nowadays) believed to have been cooked down. Anyway, this is nit-picking again. I'd like to discuss some questions with the professor, which, unfortunately, is impossible. Another drawback on this way of widening one's perspective: If you DO have questions, you are basically left to your own devices. Have you listened to any of Professor Grant L. Voth’s other performances before? How does this one compare? Mr. Grant's performance is good for the content, I did speed up playback though, to get a tad more "live" into the narration. This is not a critic, though. As far as I remember I haven't listened to another of Mr. Voth's performance, so I cannot compare. Forgive me for coming back to that monomyth topic - or to the "system" Mr. Voth "uses to analyze myths". While I do see the benefit of having ANY approach to "classifying" or "deconstructing" a story/myth, I feel like Mr. Voth fails in demonstrating what he (or we) get out of this. You can press ANYTHING into any arbitrary "system" if you just press hard enough, and sometimes it felt like Mr. Voth was doing just this: "Well, here we have our global theory of how a myth is constructed, let's see how we can make this narration fit this system". There just isn't any "aha!" to be gained from this, there isn't anything that you would understand BETTER by using such a "raster" to "analyze" a myth. If you could sum up Myth in Human History in three words, what would they be? Very easy to listen to and well-researched with supporting evidence. He paces his speaking and uses a calm but reassuring voice which made me feel I was in the front-row of a lecture being delivered just for me. I really enjoyed this as it re-connected me with some stories I remember as a child. I felt that I gained a better understanding of the importance of myth in our lives. It was interesting to hear common connections between societies/ cultures/ religions and how people have created stories to understand their world and phenomena within it. This was a wonderful course. 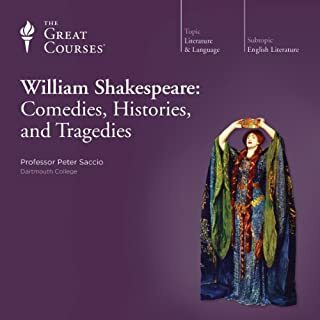 I was worried at the beginning that it was too introductory -- I hold a degree in history, English, and theatre and the first two lectures were old hat for me. But as soon as Prof. Voth moved into discussing individual myths and influences, I was completely on board. Even the very familiar Adam and Eve myth was given new light. I highly recommend the course! It's clear that the author has a Christian bias towards the subject. As someone who isn't Christian, it was frustrating to hear about everything is a myth except Christian concepts. 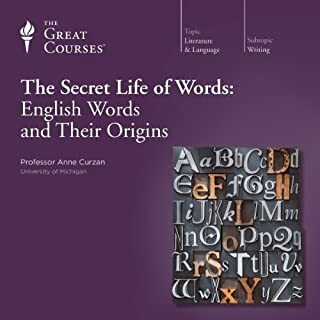 This book refers to lecture notes etc., that should be available with the recording. They are not provided and it's hard to follow what Prof both is referring to. Majorly disappointed in audible here.